Can't wait to see if it's at cars and coffee! Or cars and caves. It's from Minnesota, they recentley wrapped it, it was a white wrap that had red crown rally logo. Oh my goodness...that's incredible!!! Of course I missed it :( wonder where it's from?! Did you see the chrome aventador?? I did...got there around 11 but there wasn't too much happening. Got to see a Project 7 F-Type tho!! I see...thats cool! Sorry I shouldn't have written Iowa off that quickly :D when exotics are more exotic it makes spotting them way more fun! 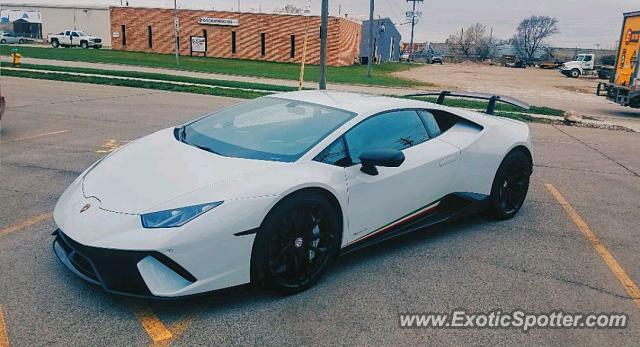 There are actually many exotics in Des Moines, and even quite a few in Cedar Rapids, Iowa City, and the Quad Cities. No, the state isn't flooded with exotics like California or Florida, but we have our share and thankfully they're rare enough to be an event every time you see one. Where is that at? Never heard of that one! One will be in Minnesota soon, if summer ever comes.